The former regime forced many Tunisians into permanent exile. Today Tunisia’s cities and towns are teeming with wide-eyed returnees, many of whom haven’t seen their families (or stepped foot in their country) in a generation. Tunisians who never left the country are also reconnecting. Earlier this year residents from Tunis assembled a caravan and traveled to meet residents of historically ignored cities such as Sidi Bouzid to personally thank them for starting the revolution. Whereas previously Tunisian journalists were fearful of straying from their beat, today they travel throughout the country to speak with and publish stories on locals. With a 98% Sunni Muslim population and a large middle class, Tunisia is often described as one of the most homogeneous Arab countries. Yet with new freedoms of expression and organization Tunisians are discovering deep-seated differences. Secular Tunisians are discovering a large swath of the population that is devoutly religious. Tunisians from the country’s affluent coastal region are discovering an interior country that feels exploited and disenfranchised. Much like Communists were hostile to Catholicism in Poland, so was the former regime hostile to Islam in Tunisia. Men with beards were harassed, mosques were forced to closed early, Imams were monitored. Today Tunisian Muslims are embracing their faith; mosques stay open late into the evening; men grow out their beards; Imams speak freely without fear of persecution. Many more women also choose to wear the veil. As one volunteer put it, “under the previous regime the government wanted to be the master of all good and evil.” Tunisians who wanted to start civil society organizations were often prevented from doing so. As a result, today there are few organizations to mentor at-risk youth, protect the environment, or get out the vote. Public commons are abused: trash is mindlessly thrown onto the street. In some promising first displays of civic engagement, however, immediately after the former president fled, Tunisians organized to protect and clean up their neighborhoods. Today Tunisians who have registered to vote proudly affix stickers to their cars affirming that they’ve done so. For many young middle and upper-class Tunisians, working menial jobs for pocket money (e.g. waiting tables) is considered shameful. Furthermore under the previous regime those who launched new companies or organizations ran up against a system which either punished them for competing, or forced itself into a joint partnership. With high paying jobs a scarcity, what has resulted is a generation of anxious young men and women stuck between a bad job market and the fear of entrepreneurship. Cafes are packed with young Tunisians dreaming only of moving abroad. Today a few initiatives are trying to change this: Barcamp, TEDx Carthage, and the Arab Business Plan Competition are working to provide the networks, inspiration, and resources to rekindle the Tunisian imagination and enable Tunisians to invest their creativity and energy at home. With its colonial past France has always been Tunisia’s primary ally, yet it was American companies such as Facebook and Twitter that helped Tunisians to capture and exchange images during the revolution, and Qatari-based Al Jazeera that beamed these images to TV audiences across the world. Today both countries are intimately involved in Tunisia’s new society: the US is spearheading support for Tunisia’s economic development (Former Presidential candidate John McCain is personally involved in encouraging US foreign direct investment); Qatar is rumored to be funding one of Tunisia’s most successful emerging political parties. France, on the other hand, is trying to save face after offering its security expertise to the ex-President while his regime was cracking down on protestors. While former President Ben Ali and his family are no longer in power, his legacy of corruption and intimidation remains. As one Tunisian activist put it, “behind Ben Ali is a system in which half of the country was complicit. This mentality is deeply rooted in the Tunisian psyche and will take decades to change.” When looking at Tunisia’s revolution, it’s difficult to judge whether Tunisians were protesting against the Ben Ali regime’s system, or the personalities who dominated it. If the latter, Tunisia’s revolution remains susceptible to the rise of another strongman. 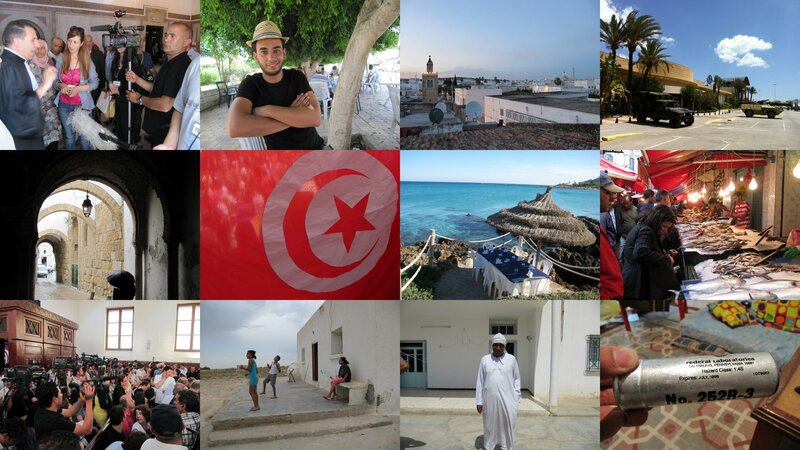 As I reflect on my summer in Tunisia I feel both worried and optimistic for Tunisia’s future. It’s unclear whether Tunisians have a shared vision for a society that does away with the system that gave us the former regime. That being said, with a rich history of strong institutions and an unexpected display of unity and courage in the face of a brutal regime, I wouldn’t count against Tunisia surprising the world once more. // As published on Tunisia Live.